B2C Enterprises received a Silver Telly Award in the 39th Annual Telly Awards Showcase for The Grandin Theatre Documentary. The full-service marketing and advertising agency's entry was a two-part film about the historic Grandin Theatre. This award is the seventh Telly win for B2C and was given to them in recognition of their first film production. "This project was truly a labor of love and I want to emphasize the love," said Molly Doyle, Director and Editor of The Grandin Theatre Documentary and Media Designer at B2C Enterprises. "Our team has learned so much about our community through the hours of collecting and curating the tales of all those involved. During the nearly eight months of shooting, editing, and finalizing, these people became my friends and their stories my own. Knowing that the Telly Awards have not only recognized the importance of those stories, but our ability to tell them, makes me so happy. "The Grandin Theatre, a non-profit landmark located in the city of Roanoke's Grandin Village neighborhood, chose B2C Enterprises to help it capture its 85-year history on film. The documentary focused on highlights in the theater's existence including periods of time when the space served as a stage for live theater productions and even a concert hall. B2C is always looking for new opportunities to stretch themselves creatively and was honored to be hired as the team who would bring The Grandin's story to life. "To receive this award is paramount for our staff and our organization," said Ian Fortier, Executive Director of The Grandin Theatre Foundation. "We are in the business of telling other people's stories when we act as the community venue we strive to be. This endeavor, however, was an effort to tell our own story, which has many rich chapters. We are so thankful to the Telly Awards committee and B2C Enterprises for recognizing how relevant the Grandin is, and for helping us share our amazing past! "The Telly Award is the premier award honoring video and television across all screens. 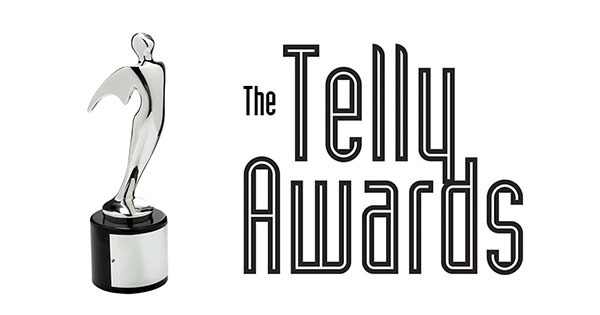 Established in 1979, The Telly Awards receives over 12,000 entries from all 50 states and five continents. Entrants are judged by The Telly Awards Judging Council-an industry body of over 200 leading experts including advertising agencies, production companies, and major television networks, reflective of the multi-screen industry The Telly Awards celebrates. To view The Grandin Theatre Documentary and other productions by B2C Enterprises, visit vimeo.com/b2centerprises.